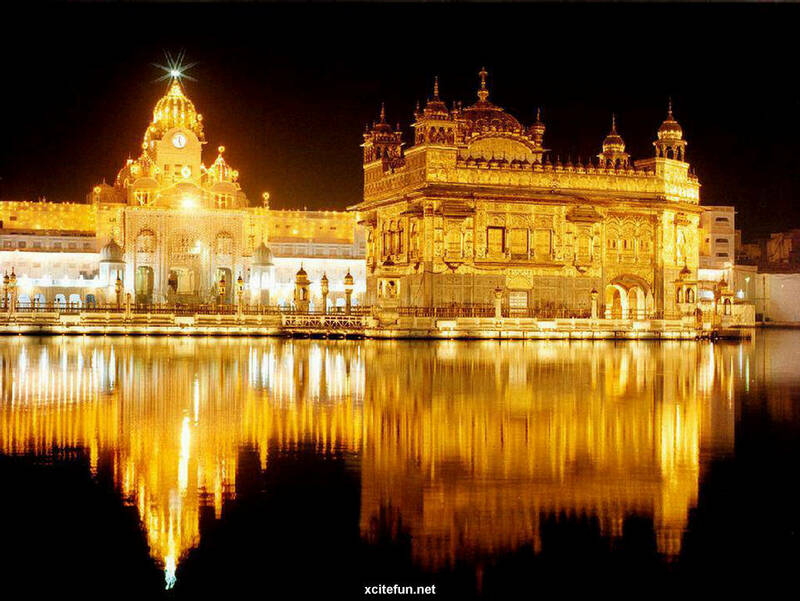 The Harmandir Sahib also referred to as the Golden Temple, is a prominent Sikh gurdwara located in the city of Amritsar, Punjab (India). 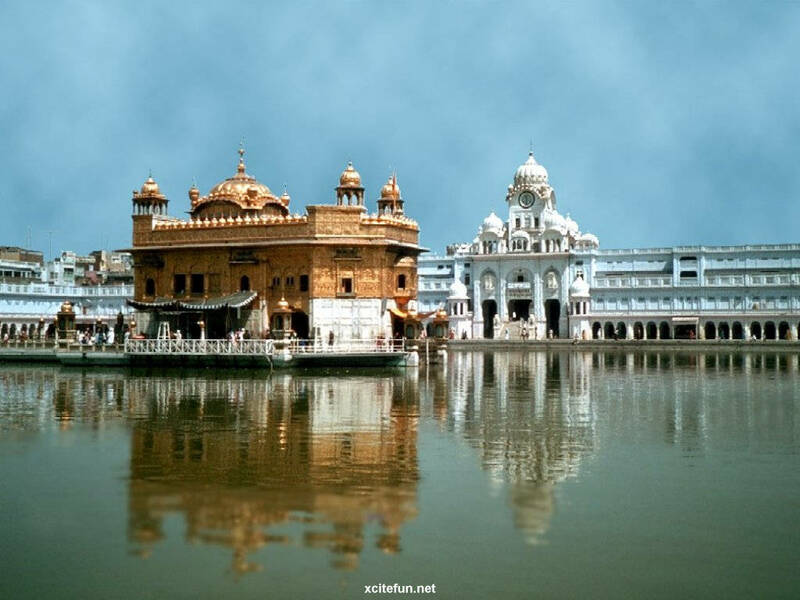 Construction of the gurdwara was begun by Guru Ram Das, the fourth Sikh Guru, and completed by his successor, Guru Arjan Dev. 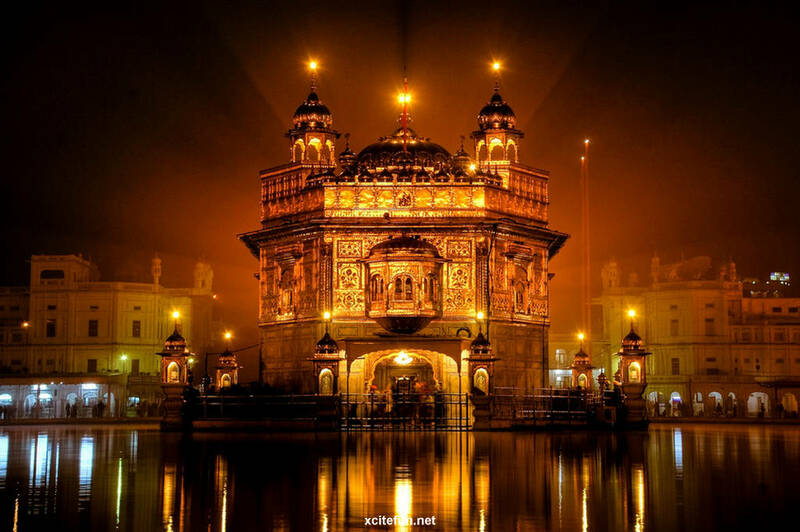 In 1604, Guru Arjan Dev completed the Adi Granth, the holy scripture of Sikhism, and installed it in the Gurdwara. 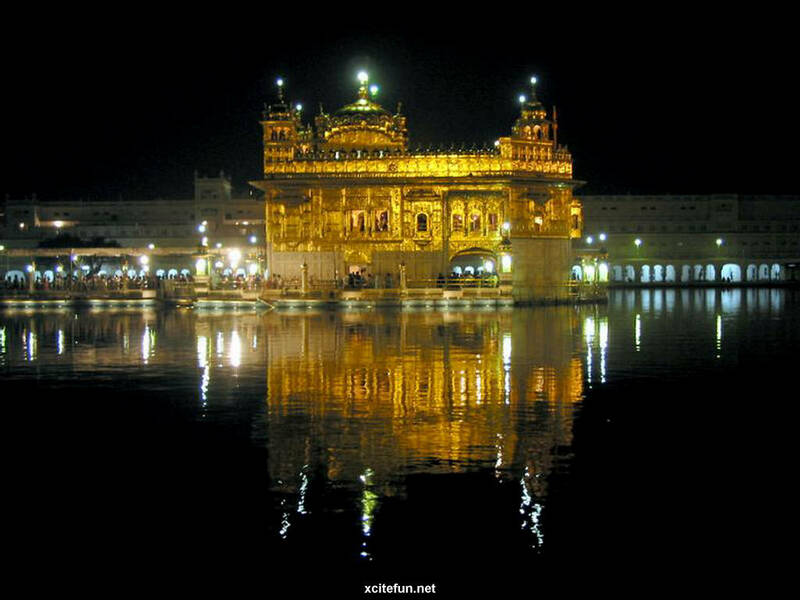 In 1634, Guru Hargobind left Amritsar for the Shivalik Hills and for the remainder of the seventeenth century the city and gurdwara was in the hands of forces hostile to the Sikh Gurus.During the eighteenth century, the Harmandir Sahib was the site of frequent fighting between the Sikhs on one side and either Mughal or Afghan forces on the other side and the gurdwara occasionally suffered damage. 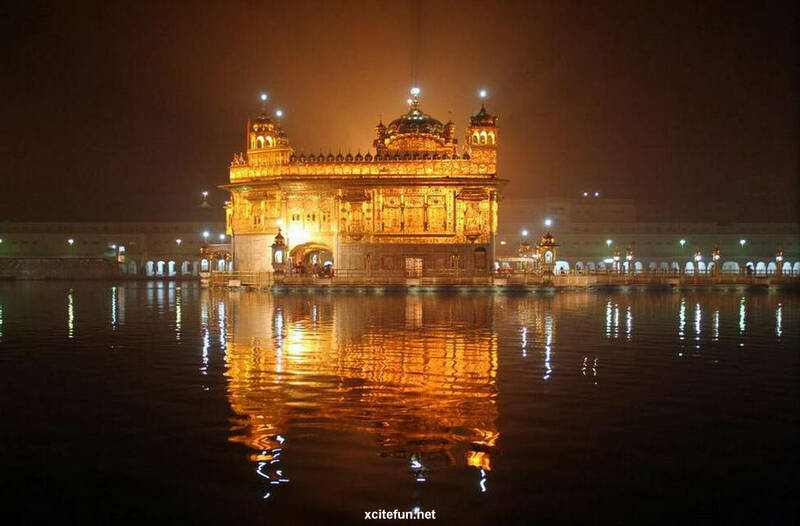 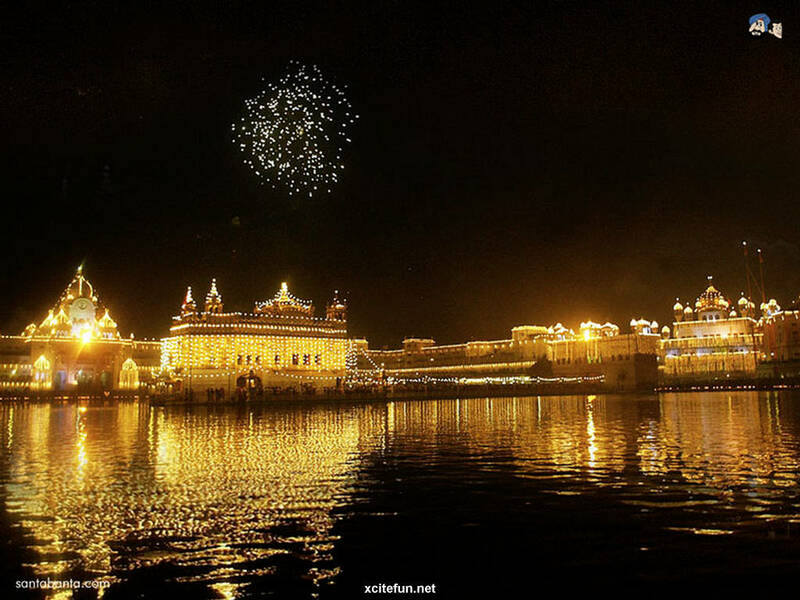 In the early nineteenth century, Maharaja Ranjit Singh secured the Punjab region from outside attack and covered the upper floors of the gurdwara with gold, which gives it its distinctive appearance and English name of "Golden Temple"